You would have worried too much for your receding hairline and might have understood the importance of a safe hair transplant option. If yes! This is for you. Read on to know more about hair transplant, procedures involved and enlighten the basics of what happens during a hair transplant. Of course one of the major questions that would pop into your mind while opting for hair transplantation would be will it be a painful procedure. Hair transplants are generally carried out with a dosage of anaesthesia administered to the patient. So you will have just a minimal experience of pain felt throughout the process. Mild pain, if required, can also be countered with pain killers if need be. Hair transplant in Punjab is carried out with the utmost care and skill to make sure the patients don’t experience a surged sense of pain while during the procedure is being undertaken. How safe is a hair transplant? With any surgery, some complications might be faced. However the amount of side effects also largely depends on the defence mechanism of the patient’s body towards foreign bodies. 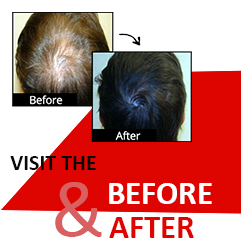 Generally, a hair transplant can cause minor scarring or in the worst case some infections. Any skilled surgeons for hair transplant in Punjab will be able to ease out the pain and minimise the complications that might arise due to the surgery and ensure it to be a successful one. If you are opting for a surgeon make sure to verify the qualifications and medical associations along with a valid period of experience to handle your situation. How do you opt for the right procedure? Generally, the doctor you consult will be able to describe the selection of treatments possible for your type of scalp and hairline receding. It is a better choice to opt for a procedure that ensures individual follicles to be removed to be transplanted with a minimal amount of scarring. This technique will ensure that you will be able to regrow hair faster and quicker compared to the other methods. However, the feasibility of this must be approved by the doctor. Hair transplant is a very simple surgery and doesn’t require many precautions to be taken from you. It might be beneficial if you undergo proper scalping treatments a week before the actual surgery. Hair transplant in Punjab are an increasingly sought out solution for receding hairline among men and women. There are no particular side effects or even long term effects. But once done maintaining your hair is one thing that you need to follow for healthy hair!